Edward Findley, compositor, publisher, trade unionist and company director, wasborn, probably, on 8 September 1864 at Sandhurst, Bendigo, Victoria, to Timothy Findley, engine-driver, and his wife Mary, née Toohey. Both his parents hailed from Ireland, his father from Cork and his mother from Tipperary. In 1876, at the age of twelve, he began a five-year apprenticeship as a compositor, after which he worked on the Bendigo Independent before settling in Melbourne in the early 1880s. He worked on the Daily Telegraph until its closure in 1892 and thereafter on an evening paper. He also began to make his mark in the labour movement. Findlay’s principal involvement in the labour movement before 1900 was as a trade unionist and publicist. In 1896, he chaired a trades and labour conference at which he criticised the movement’s liberal connections. In the same year, he helped change the name of the United Labor and Liberal Party to the United Labor Party of Victoria (ULP) and to introduce a new party platform which sought more democratic franchise arrangements, a progressive tax system, a state bank, minimum wages, an eight-hour working day, a conciliation and arbitration system, stricter enforcement of the White Australia policy and better provision for the unemployed and the destitute. Hebecame president of the Australasian Typographical Union in 1897 and of the Trades Hall Council in 1896–97. In 1894, with others, Findley had launched the short-lived democratic weekly, the Boomerang. Two years later, he was one of several, including the poet, Bernard O’Dowd, who established the Tocsin, which appeared first on 2 October 1897. (In 1904, Tocsin became the official organ of the Political Labor Council of Victoria, the renamed ULP, and from 1906 appeared as Labor Call.) From 1898, Findley was at various times Tocsin’s manager, publisher and printer. In 1908, he edited and published the first edition of Sunrise, a journal which won the warm approval of the poet, Mary Gilmore. Sunrise, which appeared again in 1912, contained contributions from a range of intellectual, literary and labour figures including (besides Gilmore) Victor Daley, J. B. Castieau, Randolph Bedford, Francis Adams, Frank Anstey, W. M. Hughes, and W. G. Spence. In 1900, Findley was elected to the Victorian Legislative Assembly as the Labor member for Melbourne, but was expelled on 25 June 1901 for seditious libel. His offence, as publisher of Tocsin, was to permit the reprinting of an article from the Dublin paper, the Irish People, which had caused that paper to be suppressed on the grounds that it had libelled King Edward VII. Immediately after his dismissal, and again in 1902, he sought to re-enter the Victorian Parliament, but both attempts were unsuccessful. In 1903, the Labor Party in Victoria had appointed the visiting British socialist, Tom Mann, as state organiser. 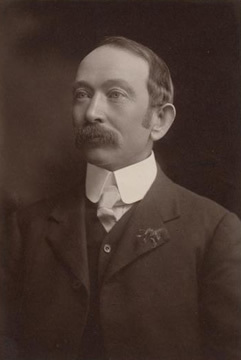 Findley benefited from Mann’s work and was returned as a senator in a general election which saw Victorian Labor’s share of the Senate vote rise from 8.68 per cent in 1901 to 27.12 per cent. In the Senate, Labor held fourteen seats, while the Free Traders and the Protectionists had thirteen and nine respectively. During the election, Findley won a reputation as an imaginative and tireless campaigner. He was to be a three-term senator who sat between 1904 and 1917 and between 1923 and 1929. His frequent contributions in the chamber displayed wide reading, intensive preparation and a mischievous sense of humour. Findley in 1903, was a slight man with receding hair, a substantial moustache, large ears and humorous eyes. He had a fondness for cigars, horse racing, football and reading, and a lively interest in contemporary scientific, social and political thought. He was also a practising Roman Catholic, which may explain why, despite his evident radicalism, he aligned himself with Victorian Labor’s mainstream rather than its socialist wing. Nonetheless, he remained committed to certain quasi-socialist goals, such as the nationalisation of monopolies. Always energetic and intellectually inquisitive, during his first term of office Findley visited China and Japan (1905), and the Northern Territory (1907), and served on a number of select committees and inquiries. In 1904, he used the Seat of Government Bill debate to suggest his vision for the Commonwealth. At the core was a rejection of private ownership, which he saw as a fundamental cause of inequality. On another occasion, he commented that he wanted ‘to see the Federal city made a model city free from the mistakes and imperfections of other cities . . .’. He hoped that the Commonwealth would demonstrate ‘the advantages of the collective ownership of land’. He considered that wealth accruing from increased land values should be available for use on behalf of all citizens, and thought that the capital should become a centre for Australian culture, as well as for important nationalised industries. Initially, he supported Dalgety as the people’s choice and ridiculed those who pushed for Canberra as the ‘Cotter Creekers’ (referring to the Cotter River as ‘that miserable trickle’), convinced that the process was being manipulated by the Sydney press. Once the Canberra site was selected, however, he urged the rapid development of the national capital in the belief that it would reduce state parochialism by providing a symbol of nationhood. This concern to link development and nationhood was evident in many of his contributions to debate. He supported the Kalgoorlie to Port Augusta Railway Survey Bill in 1906, arguing that the completion of the east–west rail link would help to forge a more genuinely national outlook. He spoke frequently in support of Commonwealth acquisition of the Northern Territory from South Australia, arguing that this was essential to Australia’s security and that public enterprise must play a major role. He linked his advocacy of protective tariffs with national development and to his insistence that the rights of the workers should be paramount. In 1906, Findley successfully moved the ‘first specific motion embodying the “new protection” ’ as an amendment to the Excise Tariff (Spirits) Bill. He argued that tariff protection should be withheld if an industry could not be developed efficiently in Australia or was not willing to pass on benefits to workers. Findley also applied the latter test to immigration, which he believed was often used to restrict workers’ wages and conditions. He shared Labor’s support for the White Australia policy, though he refused to support discrimination against non-whites already resident in Australia. He criticised Commonwealth attempts to attract large numbers of white migrants which would have the effect of undermining conditions for Australian workers. Two other themes were apparent in these years: his deep-seated anti-war sentiment and his concern over the monopolistic and undemocratic tendencies of the Australian press. On the first, it was not so much that he was a pacifist (arguing during the 1908 Coast Defence Appropriation Bill that future wars would require both air and submarine power), but rather that he had an ‘utter detestation’ for the inhumanity involved. On the second, Findley was convinced that the press was wielding excessive power over public opinion through the political influence of newspaper owners. He pressed for parliamentary scrutiny of press operations and urged government ownership of wireless telegraphy services. During the bitter debates that followed the advent of the Deakin–Cook Fusion administration, he argued: ‘not only has there been a fusion of certain political parties . . . there has been a fusion also of the great daily newspapers throughout Australia. It is because of this . . . that . . . not one honorable senator sitting on the other side can claim to-day to be a free man . . . [Senators] will abandon their life-long principles, or their names will be omitted from the newspaper ticket when the general election comes around’. These concerns also found expression in his membership of the select committee on the press cable service in 1909. In 1910, when Labor won all eighteen available Senate seats, Findley became an Honorary Minister (Minister without Portfolio) in the new Fisher administration, representing the Postmaster-General and Minister for Home Affairs in the Senate. More restrained as a minister, he confined his contributions largely to matters of business concerning the portfolios he represented. While his first task in the new Parliament was to introduce the Petherick Collection Bill, his main work was in relation to the postmaster-general’s department including the implications of the 1910 report of the royal commission on postal services. He continued to speak also in support of a range of issues such as old-age and invalid pensions, tariff protection and industry bounties. In many ways, these years represented the high point of Findley’s political career for they saw him contribute to the passage of legislation which catered for a number of his political concerns: for example, the Australian Industries Preservation Act of 1910, the Northern Territory Acceptance and Administration Act of 1910, the Conciliation and Arbitration Acts of 1910 and 1911, the Commonwealth Bank Act of 1911 and the Maternity Allowance Act of 1912. The period also saw the end of his bachelorhood. On 11 January 1911, at St Mary’s Roman Catholic Church, West Melbourne, he married Lily Foyle, a Warrnambool photographer, who had been president of the Political Labor League, president of the women’s branch of the Australian Natives’ Association and secretary to the Ladies’ Rowing Club in Warrnambool. The Prime Minister, Andrew Fisher, gave the bride away. Findley held no official position in the third Fisher Ministry, but was a member of the federal parliamentary war committee. Despite a substantial majority in the House of Representatives and an overwhelming thirty‑one of thirty-six Senate seats, World War I saw Labor split in November 1916 over conscription. Findley, an ardent anti-conscriptionist, refused to join the combination of National Labour and Liberals led by W. M. Hughes. He felt that Australia’s resolve to develop a national identity, unhampered by involvement in European conflicts was being lost. Repeatedly, he urged the state governments to attend to domestic development as the path to future security. He was critical of the slackening of attention, by the Fisher and Hughes governments, to the development of Canberra, the completion of the Kalgoorlie–Port Augusta rail link and the building up of the Northern Territory. As the debate over conscription intensified, Findley became increasingly critical of the censorship policies of the Hughes administrations, claiming that shackles were being placed on the labour press. Arguing against conscription, he said that security would be better achieved through the construction of strategic railways, the unification of railway gauges and in the building of seaplanes and submarines. He would, he said: ‘honeycomb Australia with stations for the location of our air fleet’. Findley was especially harsh on Senator Pearce and other former Labor colleagues, who, he asserted, had lost touch with their ideals and with workers’ needs. Despite the narrow defeat of the first conscription referendum in October 1916, the result of the 1917 election was a decisive victory for Hughes’ Nationalists. In the Senate, Labor was left with twelve seats against the Nationalists’ twenty-four. Findley was among those not returned. He was re-elected to the Senate at the 1922 election. (In the interim, he had been a member of the Victorian State War Council, which had supported soldiers and their dependants.) In his final term, he was active on Senate committees and served as a Temporary Chairman of Committees (1926–29). As always, he was impressive in opposition. He defended in detail what he saw as Labor’s legislative achievements in public enterprise—for example, the Commonwealth Bank and the Commonwealth Shipping Line—against the privatisation policies of the Bruce–Page administrations. He spoke frequently on the need to boost development programs and attacked the promotion of immigration on the basis that many Australians were without work. He argued repeatedly that there was no necessary correlation between increased population and greater prosperity and was particularly critical of the Development and Migration Commission. The implication that development and migration were linked he saw as dangerous. He supported the expansion of transport (especially air services) and communication in remote areas, such as the Northern Territory. Debating the Northern Australia Bill in 1926, he asserted: ‘We are all agreed that the present policy of drift and stagnation in the Northern Territory must not be allowed to continue . . . We realize now that it is impossible for that vast country to developed without railways, roads, water conservation, telegraphic, telephonic, wireless and air services’. Findley was defeated at the 1928 federal election. He became a director of the Commonwealth Oil Refineries, holding the position until his death, on 26 October 1947, at his residence in Neerim Road, Caulfield, Melbourne. His wife and one daughter, Sibyl, survived him. He was accorded a state funeral after a requiem Mass at St Patrick’s Cathedral, Melbourne, and was buried in Coburg Cemetery. He had been a member of the Printing Industry Employees’ Union of Australia (in its various guises) for some sixty–three years. Indenture Papers, Findley Papers, MS 2111, NLA; Letter, Sybil F. Park (daughter), 18 March 1981; Findley file, ADB, ANU; Tony Marshall, ‘Findley, Edward’, ADB, vol. 8; Australasian Typographical Journal (Melbourne), March 1898, p. 3; No birth certificate is on record. Obituaries vary as to his age at death. His indenture papers give his age as twelve years and eight months on 1 June 1876, which would make him eighty-four at death. Labor Call (Melbourne),30 October 1947, p. 2; Tocsin (Melbourne), 17 November 1898, p. 6. Labor Call (Melbourne), 30 October 1947, p. 2; D. J. Murphy (ed. ), Labor in Politics: The State Labor Parties in Australia 1880–1920, UQP, St Lucia, Qld, 1975, p. 317; Letter, Mary Gilmore to Findley, 19 October 1908, Findley Papers, MS 2111, NLA; Sunrise (Melbourne), 1908, 1912. Tocsin (Melbourne), 12 November 1903, p. 2. Graeme Osborne, Tom Mann: his Australasian Experience, 1902–10, PhD thesis, ANU, 1972; Toscin (Melbourne), 31 December 1903, p. , 12 November 1903, p. 2; Punch (Melbourne), 12 May 1910, p. 644. CPD, 27 September 1906, pp. 5610–5621. CPD, 1 June 1904, pp. 1767–1768, 3 June 1904, p. 1967, 6 November 1908, pp. 2091–2099, 22 October 1909, pp. 4919–4922, 1 September 1915, pp. 6462–6463. CPD, 12 September 1906, pp. 4415–4420, 3 December 1909, pp. 6836–6840, 20 February 1908, p. 8265, 8 November 1907, pp. 5758–5759. CPD, 8 November 1907, pp. 5758–5759, 20 February 1908, p. 8265, 13 November 1907, pp. 5887–5888, 9 October 1906, p. 6268, 11 July 1907, p. 367. CPD, 5 June 1908, pp. 12107–12110, 5 September 1906, p. 3956, 30 June 1909, p. 567. Warrnambool Standard, 12 January 1911, p. 3. CPD, 19 August 1915, pp. 5880–5884, 17 December 1914, p. 2089, 1 September 1915, pp. 6459–6463, 21 September 1916, pp. 8787, 8820. CPD, 20 January 1926, pp. 172–176, 5 October 1927, pp. 202–204, 30 November 1927, pp. 2251–2257, 28 January 1926, pp. 426–430. Age (Melbourne), 27 October 1947, p. 1; Argus (Melbourne), 27 October 1947, p. 6; Labor Call (Melbourne), 30 October 1947, p. 2; Warrnambool Standard, 27 October 1947, p. 3. This biography was first published in The Biographical Dictionary of the Australian Senate, vol. 1, 1901-1929, Melbourne University Press, Carlton South, Vic., 2000, pp. 291-296.